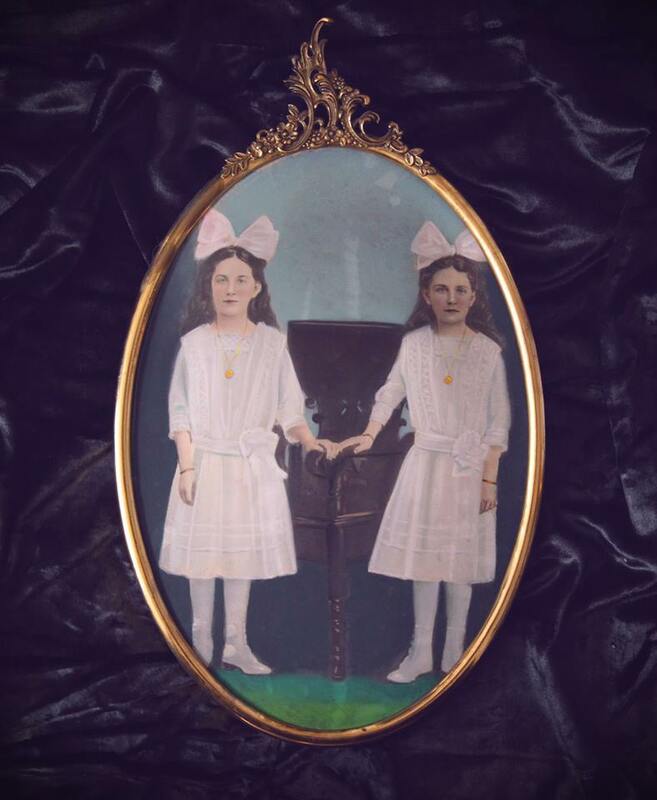 Oil pastel over photograph of twin sisters. According to the ancestor from which this was purchased, the twins were very close in life. Though, after roughly 150 years we cannot never know for sure what bond they shared. That said we can almost see them, hand in hand walking along the shoreline in some prosaic, east coast autumn circa 1865. The bond between twins is a strange and largely unknown one. For us, outside of that secret pact, we can only marvel at the odd sight of a repeating human and wonder at existing in two places at once.